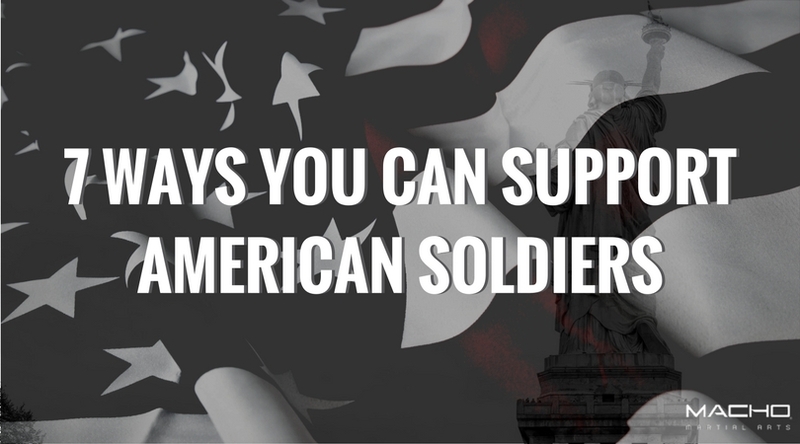 7 Ways You Can Support American Soldiers - The Macho Blog. In May we celebrate Memorial Day. It falls on the last Monday of the month and is a day dedicated to remembering the fallen heroes who bravely served our country. This Memorial Day, spend time donating to organizations dedicated to honoring soldiers and their families. Donate to Blue Star Families. It provides free resources, services and opportunities to more than 1.5 million military family members annually. Visit their website to donate and learn more about their mission. Have any unused or expired coupons laying around? You can donate them to Overseas Coupon Program. The program serves military families by sending coupons to overseas military bases. They can be used at the PX/BX and Commissary. Donate items from Operation Gratitude’s Wish List. Operation Gratitude sends 200,000+ care packages filled with food, entertainment, hygiene and handmade items, plus personal letters of appreciate to Veterans, First Responders, New Recruits, Wounded Heroes, their Care Givers and individually named U.S. service members deployed overseas and their families waiting at home. Learn more about how Operation Gratitude works hard to say “thank you” to all who have served. Donate to the nation’s largest wartime veterans service organization, committed to mentoring youth, advocating patriotism and honor, and continued devotion to service members and veterans. Click here to visit their website and learn more. Volunteer, donate and participate with The United States World War One Centennial Commission. The Commission’s mission is to plan, develop and execute programs, projects and activities to commemorate the Centennial of World War I. Donate to Veterans of Foreign Wars. VFW’s mission is to foster camaraderie among United States veterans of overseas conflicts, to serve our veterans, the military and our communities and to advocate on behalf of all veterans. They ensure that veterans are respected for their service, always receive their earned entitlements and are recognized for the sacrifices they and their loved ones have made on behalf of their country. Shop the VFW’s memorial day specials to take a moment to remember America’s fallen heroes. The store offers grave markers, flags, wreaths and more.